When it comes to examining the beliefs and habits of different demographic groups, brands tend to overlook dads. All too often, marketers assume that men who are dads simply act the same as men who are not dads, or they create campaigns based on outdated, clichéd notions about fatherhood. That’s a big mistake. American fathers are much different from the “dear old dad” stereotype. Specifically, today’s dads have distinct purchasing behaviors, beliefs about their roles, and methods for finding information. So, what do firms need to know about modern dads? We looked at a host of research reports to find out. 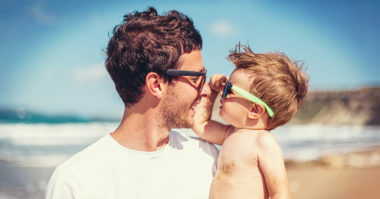 Check out the key findings below, as well as MDG’s new infographic, 5 Things Every Brand Needs to Know About Marketing to Dads. Fathers, especially younger ones, do not think that the families they see depicted in the media and in advertisements reflect their own households. 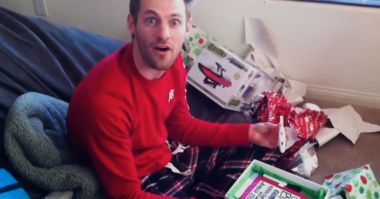 Dads are especially unhappy with how marketers depict fatherhood. What’s behind this dissatisfaction? In part, fathers don’t like the cliché of the bumbling dad. Whereas fatherhood has often been depicted in the past as an afterthought or burden for men, that’s not at all how most of today’s dads see the role. Modern dads tend to be much more involved in child rearing compared with previous generations. Dads don’t just believe fatherhood is important, they also find the role to be meaningful and fun. While modern dads see their roles as important and meaningful, many still don’t think they’re as good of a father as they could be. For many dads, this dissatisfaction comes from trying to balance work and fatherhood. The demanding combination of work and fatherhood also makes it difficult for many dads to take part in other activities. Fatherhood tends to change many things about a man’s life, including purchasing behavior. Dads often switch brands after becoming a parent and also tend to value brands more. Brand-switching by dads tends to happen most in specific verticals, such as food/beverage. While moms account for more spending, dads are still responsible for a sizeable share of household purchasing—and they tend to buy more when they shop. For today’s dads, the Internet has become an essential resource for finding information about parenting and children’s products. The web and smartphones are especially important to the lives of young fathers. To find information and advice about parenting, dads turn to a wide range of online sources. So, what should marketers make of today’s dad? In part, that he takes his role as a father very seriously, but also often struggles to balance it with his other obligations. Also, that he’s responsible for many household purchases, brand aware, and digital savvy. Finally, and most importantly, that he’s a modern man who doesn’t necessarily believe in, or like, traditional, one-dimensional dad stereotypes. Ultimately, if you want to reach him effectively you have to use approaches and messaging that is as nuanced as he is. To find out more, check out the full infographic, 5 Things Every Brand Needs to Know About Marketing to Dads. Learn more about reaching dads with your marketing. Contact MDG Advertising today at 561-338-7797 or visit mdgadvertising.com.